Glue Arts Glue Glider Pro Plus allows you to apply a neat strip of adhesive exactly where you want it. The easy glide-on dispensing action, allows you to apply a small controlled amount or a continuous line of the best performing and most permanent adhesive ever offered. The easy slip-in, recyclable cartridges eliminate the worry of having to reload in the middle of a project. No mess, no fuss. Each cartridge holds a wonderful 40-65 ft of Adhesive depending on the adhesive cartridge you are using. No more messy threading or opening delicate dispensers. 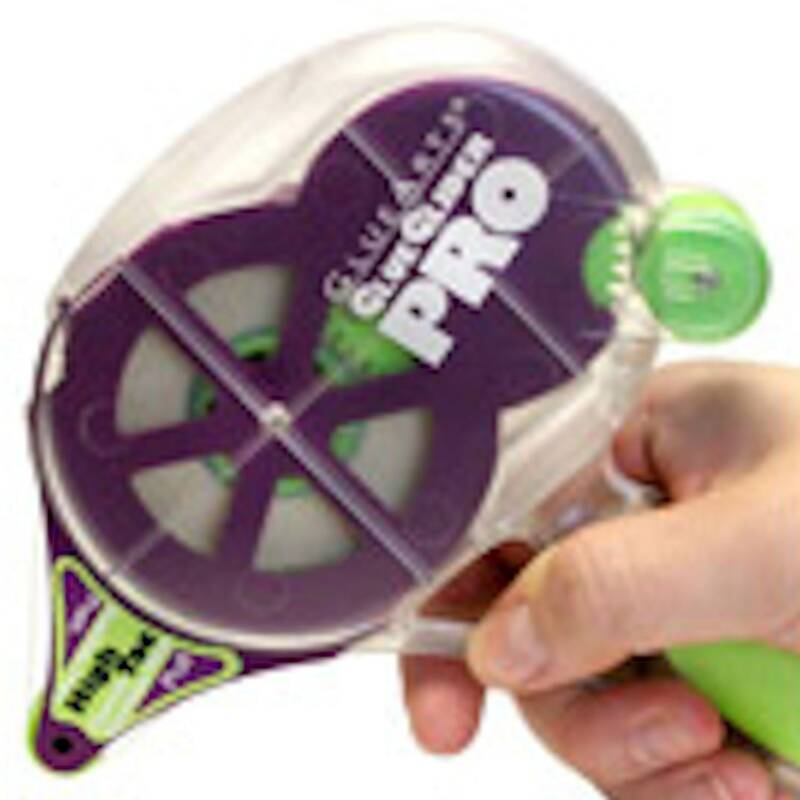 The New Glue Glider Pro Plus by GlueArts is a multi-directional adhesive applicator that provides you with easy glide-on dispensing action both forward (pushing) and backward (pulling). 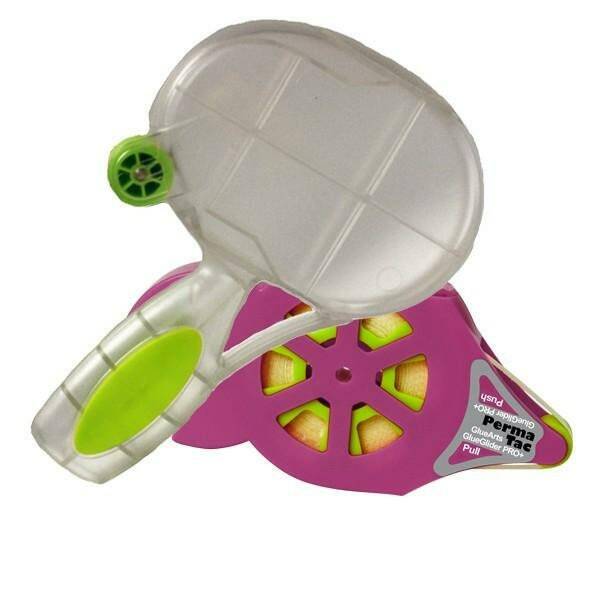 Just flip the cartridge over to either push or pull the adhesive tape depending on your Gluing needs and comfort. There are lots of different types of adhesive runners but only GlueArts brings you value and ease you can’t pass up. Just easy application of pressure sensitive adhesive permanently adheres any item to any surface. When you add it all up, GlueArts® Glue Gliders® are the most cost effective new adhesive solution available.